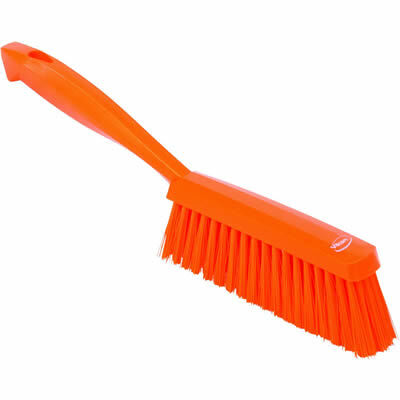 Orange 14" Edge Bench Brush w/Medium Bristles | U.S. Plastic Corp. The Viper can be used to open all types of bags. 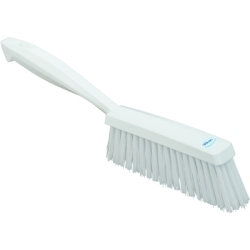 It is great for minimizing cross contamination of foods and it reduces food product damage. The viper protects finger and hands and will greatly reduce lacerations. 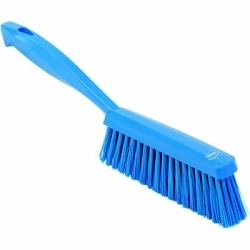 It is easy to clean, dishwasher and sanitizer safe. NSF certified and meets FDA standards. The ergonomic design provides non-fatiguing use. The stainless steel blade resists corrosion and breaking.